Steeped in meaningful rituals, the Sacrament of the Holy Communion transcends all other sacraments and helps us receive Jesus Christ in this physical world. 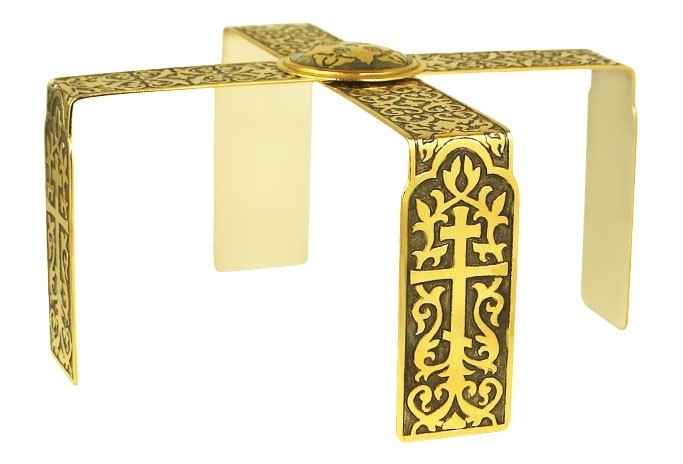 To help Orthodox Christian churches conduct this service with utmost religious fervor and respect to age-old worship traditions, Istok Church Supplies offers an extensive range of communion supplies including jewelry communion sets in various designs. Customers will have a hard time selecting from our fabulous collection of communion sets - each one is uniquely beautiful and exquisite. 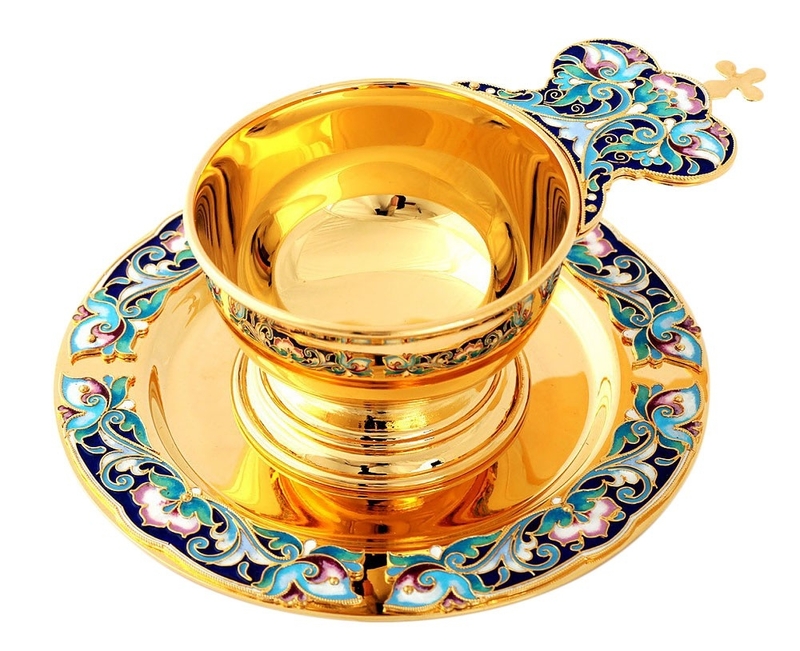 Made from high quality brass and German silver, these sets are executed by talented craftsmen with deep understanding of Orthodox Christian art traditions and ecclesiastical canons. We recommend taking into account the décor of your church and the designs of other communion vessels to arrive at the right choice. Our jewelry communion sets are a class apart. 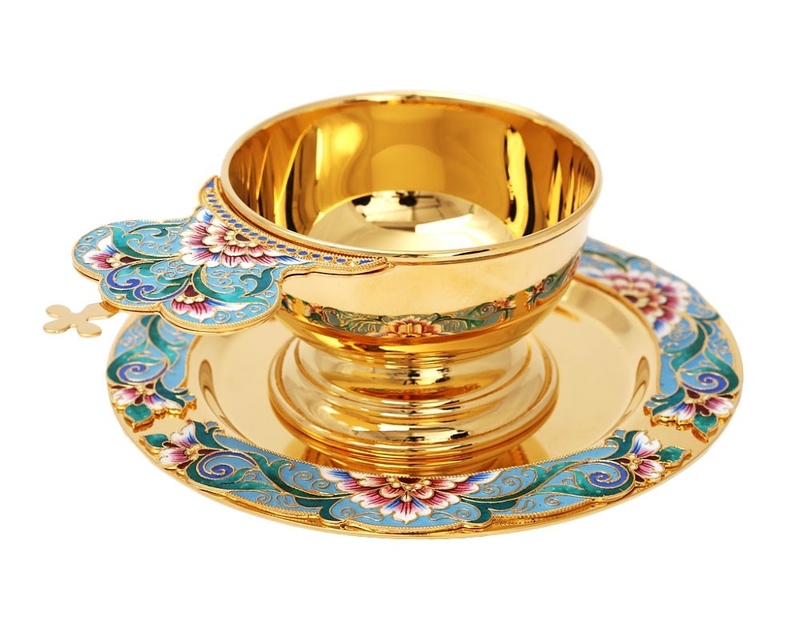 Whether it is the top quality finishing or opulent details such hand-painting, etchings, enamel work or embellishments, we are sure you will agree everything contributes to stunning final results. 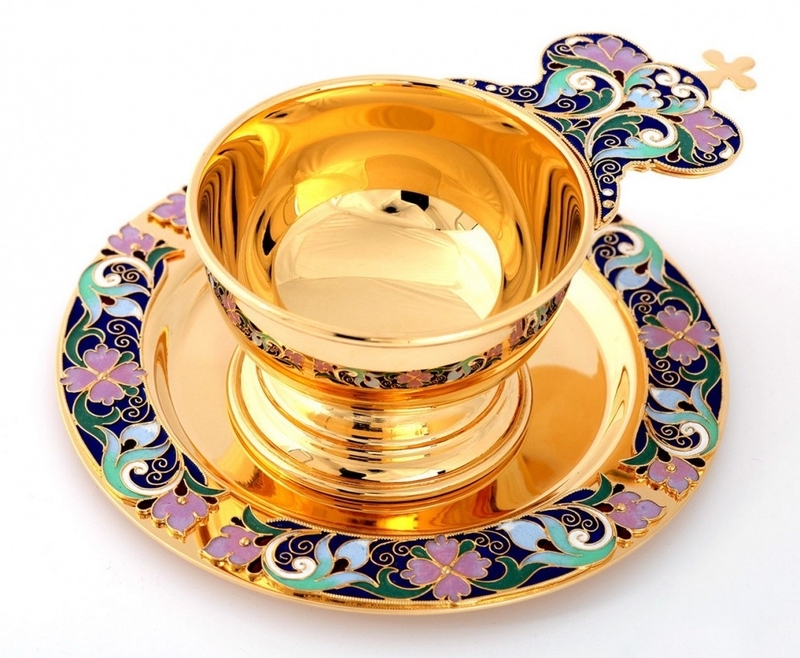 Gold gilding provides them with an additional layer of beauty and increases their usability. 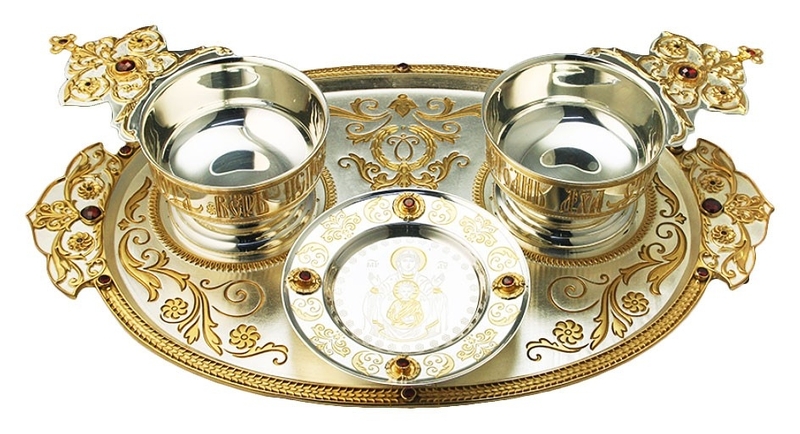 No matter which design you choose, these communion sets are guaranteed to elevate the Sacrament and enhance the prestige of your church. 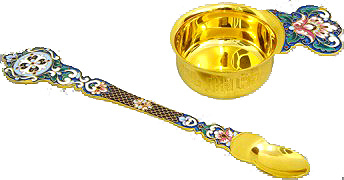 The communion sets we feature in this collection are highly suitable for Greek Orthodox style of worship. Customers can purchase sets with one, two or three scoop containers. The containers come with attached handles for ease of use. 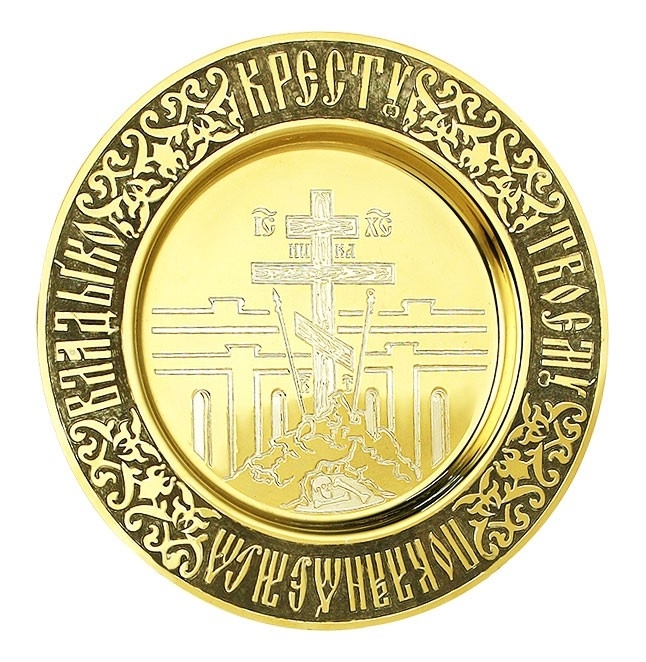 We also provide a beautifully decorated brass plate for each set. Important details such as the weight and price are mentioned for each product and customers can zoom into the product image to get a better view. We provide high quality packaging for these premium items and customers can rest assured that they will be delivered in immaculate condition. If you need the communion set in time for a special occasion, we recommend you order as soon as possible!